If you’re in the market for Bay Area real estate, get ready to expand your horizons. Construction recently began on $6 billion worth of improvements at Treasure Island, an underutilized artificial island in the San Francisco Bay. With 8,000 residential units planned, it is one of the largest housing projects currently being developed in the Bay Area. The 20-year project, which includes the slightly smaller and connected Yerba Buena Island, is a partnership between Lennar Urban, Kenwood Investments, Stockbridge Capital Group and Wilson Meany. Forty existing structures will be demolished, and up to 100,000 square feet of new office space, 140,000 square feet of retail and commercial space, a new ferry terminal to tempt mainlanders and 90 acres of parks will be added. Of the 8,000 housing units planned, 2,000 will be designated as affordable housing. “We have enough critical mass to create a sense of place and enough density to create service like retail to make it successful,” Kheay Loke, senior development manager at Wilson Meany, told San Francisco Business Times. 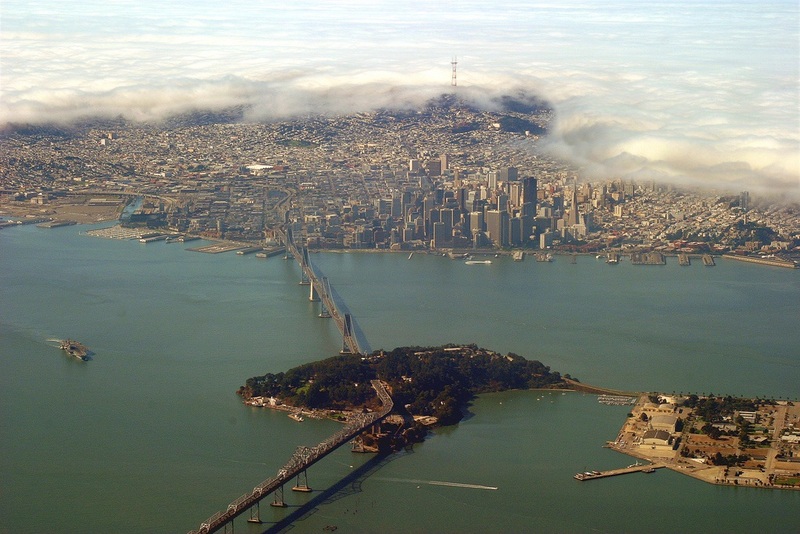 What’s more, news recently hit that a George Lucas museum may be included on Treasure Island. Lucasfilm is already located in the San Francisco’s Presidio neighborhood, so the nearby museum would not be a stretch by any means. According to SFGate, the proposed museum site is on the west side of the island with a view of downtown. Treasure Island has a varied past few locals are entirely familiar with. Built in 1937 by the US government for the 1939 Golden Gate International Exposition, Treasure Island became a naval military base in 1942. It was complete with an auxiliary air facility including airships, blimps, dirigibles, planes and seaplanes.